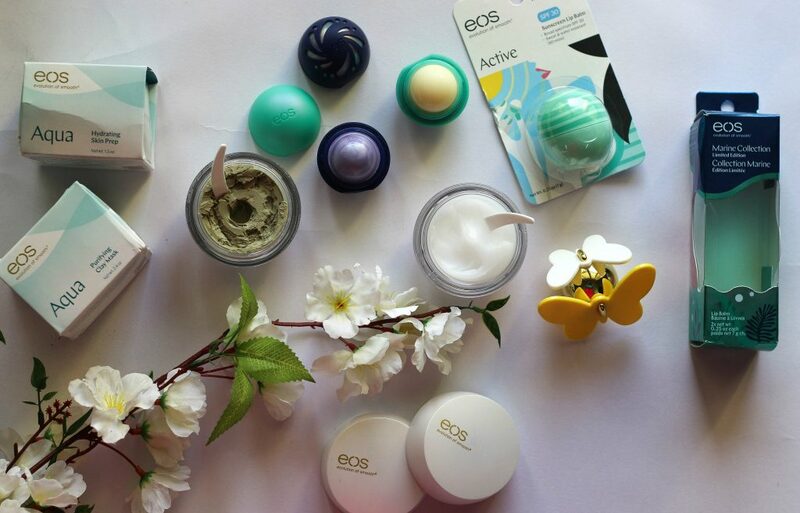 Soft, flowing and inspired by the power of water and the nourishing benefits of seaweed, eos Aqua products cover you in essential hydration. 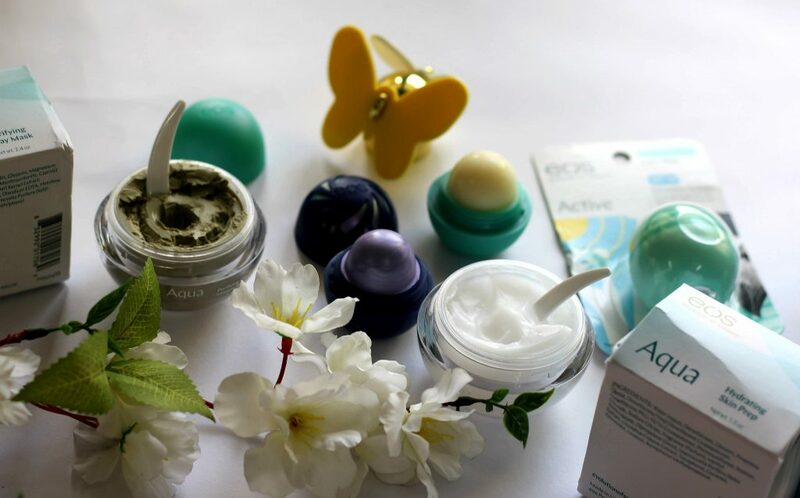 eos Aqua uses nutrient rich seaweed, one of nature’s most versatile ingredients to hydrate, soothe, soften and protect skin’s natural balance. I love purifying facial masks and this one felt quite exciting to try as its formulated with seaweed, which is known for it’s hydrating benefits. It’s designed to purify and refreshes the skin. Water (Aqua), Illite, Kaolin, Glycerin, Magnesium Aluminum Silicate, Isopropyl Palmitate, Montmorillonite, Caprylyl Glycol, Phenoxyethanol, Avena Sativa (Oat) Kernel Extract, Fragrance (Parfum), Tocopheryl Acetate, Disodium EDTA, Hexylene Glycol, Chondrus Crispus Extract, Macrocystis Pyrifera (Kelp) Extract, Geraniol, Citronellol, Linalool, Butylphenyl Methylpropional. 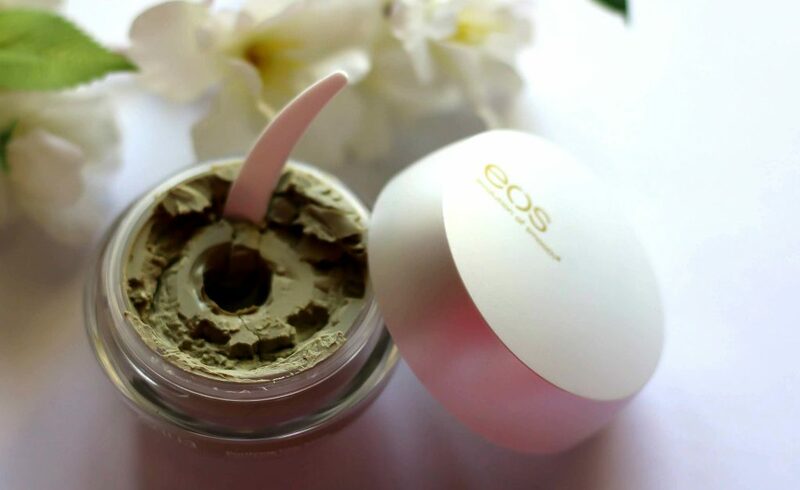 EOS Aqua Purifying Clay Mask is a face mask formulated with clay and seaweed extracts. It draws out impurities and leaves the skin refreshed, bright, and smooth. It’s quite tricky to apply on skin. Especially, the texture is smooth. So while applying you should go in single strokes and not overdo the side. If you happen to overdo the side, Because of its super smooth texture, It crumbles and tend to slip off the face. It feels light weight on face when applied and it’s not too tightening on skin. It dries pretty quickly. You may choose to use a wet face towel to take off the mask or wash your face using cold water. It doesn’t make your face dry. It feels smooth and clean after using this mask. it gives a radiant glow to the face. 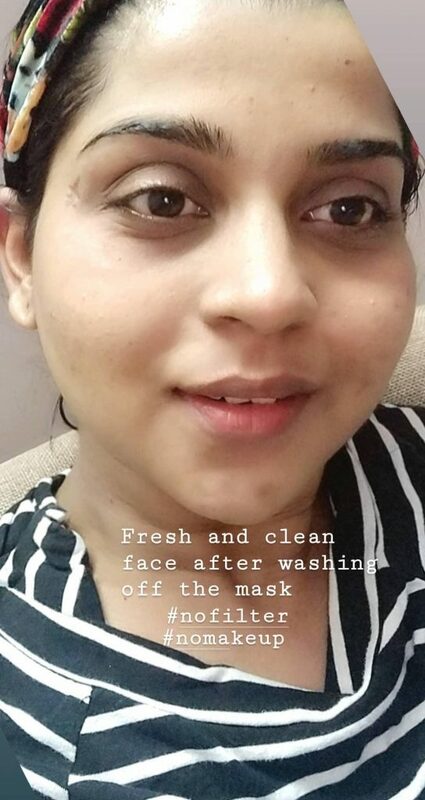 Do this every night after makeup removal and post washing you can go with the regular night skincare routine. Clay & seaweed work together in this Purifying Clay Mask to draw out impurities like a magnet while nourishing skin. Leaves skin refreshed, brighter, and smooth. Use regularly as part of your nighttime skincare care routine. It’s Vegan, Paraben free, Phthalate free, Mineral oil free, Petrolatum free, Formaldehyde free. I love multi-tasking products. One of the main problem I deal with during harsh weather is of course dryness of skin. Especially, when wearing cream based products. I always like my face to be super hydrating so as to avoid dry patches and product getting clinged to one particular area. 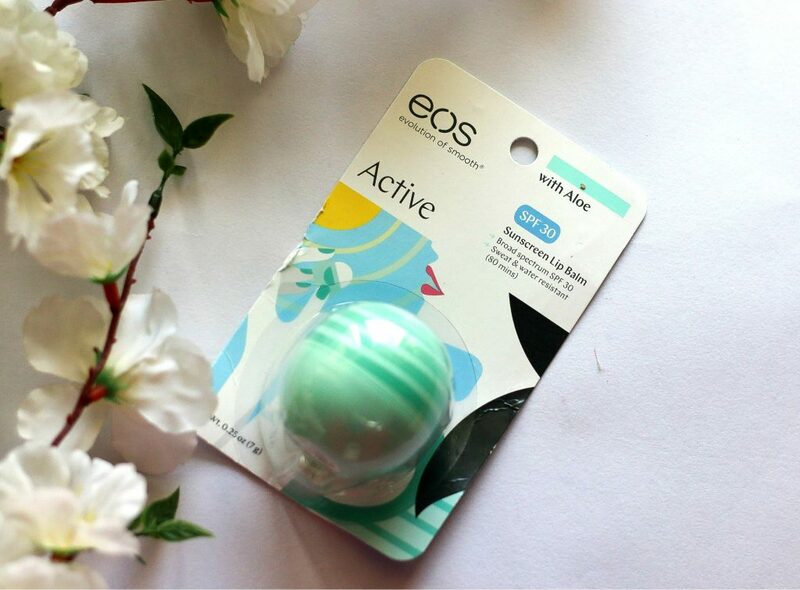 EOS Aqua Hydrating Skin Prep is a all-in-one product. It’s a hydrating primer. Also it’s a toner, serum, and moisturizer all in one – How cool is that ? eos Hydrating Skin Prep pulls triple duty as a toner, serum, and moisturizer with a special blend of emollients, humectants and nutrient rich seaweed. It has a refreshing fragrance. It has a texture of a hydrating gel with the softening and smoothing properties of a cream. While applying it goes on like a cream and instantly transforms to water, yes – I meant water and instantly keep skin hydrated and refreshed. 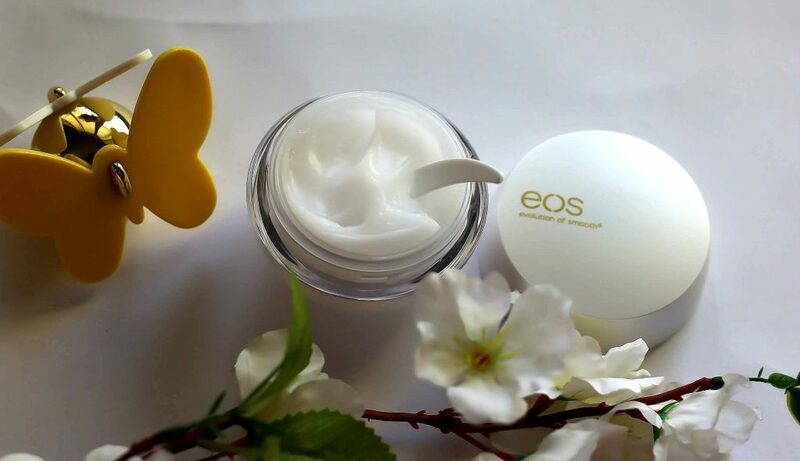 eos Hydrating Skin Prep creates that incredibly smooth base for makeup. Delivers Instant boost of hydration. While applying it feels very lightweight on skin and has a fresh ocean-y or water scent. Leave skin soothing, smooth and soft. It creates a good base before applying make-up. The water-gel formula feels great on dry skin too. Organic Watermint lipbalm is a mix of mint, lemongrass, orange, Italian bergamot and a touch of crisp green apple. The shimmer lip balm goes clear and turns from iridescent lilac to a custom color depending on your lips. On my lips, its more of a light purple than pink. Very hydrating formula as well. I love the special edition packaging too. These lip balms are Paraben & petrochemical-free. 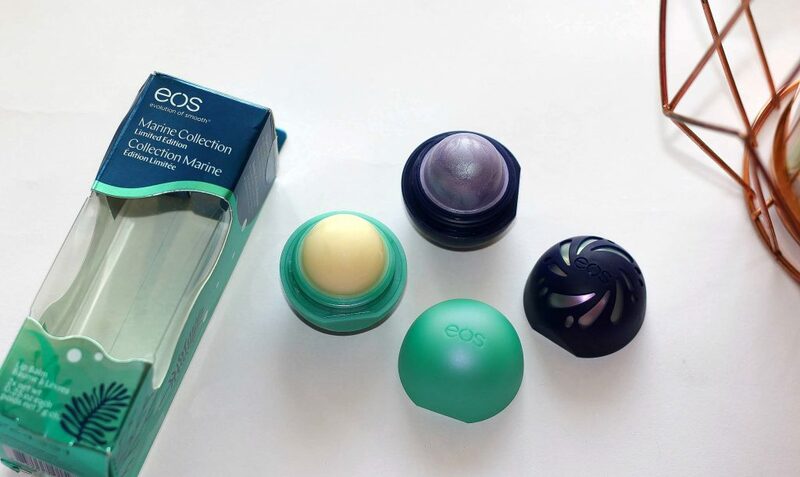 Overall, I love eos products. 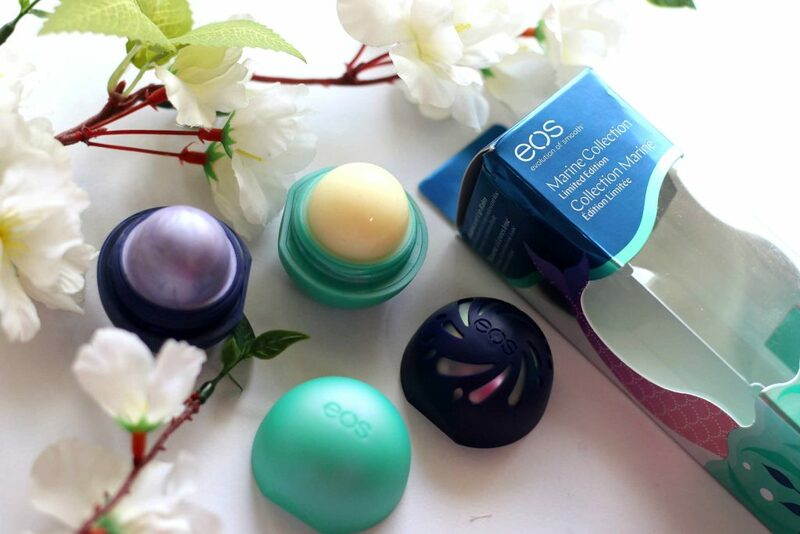 The new addition to the eos line – ‘The Aqua Collection’ products cover you in essential hydration. eos Aqua uses nutrient rich seaweed, one of nature’s most versatile ingredients to hydrate, soothe, soften and protect skin’s natural balance. The limited edition lip balm packs are a great gift option too.